FS1's Nick Wright Talks James Harden Winning 2018 NBA MVP Over LeBron James: "He Earned It"
If you’ve followed the FS1 program “First Things First: Cris Carter And Nick Wright” even the slightest bit, you understand how strongly Nick Wright supports LeBron James. Wright has gone to bat time after time for James in multiple discussions, the main one revolving around him being the greatest player of all-time. On Tuesday morning, however, Wright paid strong respect to Houston Rockets shooting guard James Harden, who took home the 2018 NBA MVP award on Monday night. “He beat LeBron in a way that’s fair and square,” Wright said. “It wasn’t LeBron fatigued. It wasn’t a backlash to a decision like Derrick Rose’s MVP was. It wasn’t a “Oh, this is new and different”, the way Steph Curry’s first MVP was. But Wright went even further into his Harden love on Tuesday, even going as far as ranking him amongst the greats at his position. But Wright continues to make a case for Harden as not only the rightful MVP this season, but also as an all-time great. Those are some pretty bold statements from a guy that exclaimed that LeBron was the correct choice for the honor the entire season. It seems as if Wright is doing some damage control of sorts. But he isn’t wrong in some regards. Harden did have a really strong season that saw him win his first-ever NBA Scoring Title, lead the Rockets to the top seed in the Western Conference, and make it to the Western Conference Finals. Wright even argues that in almost any other season, Houston is hoisting the Larry O’Brien trophy. “This year, the Rockets should have been champions,” Wright claims. “In 95% of NBA seasons, a team this good with homecourt, even with Chris Paul getting injured in the final two games of the Western Conference Finals, they would have been favorites over Cleveland without Chris Paul, even if Chris Paul missed the NBA Finals. 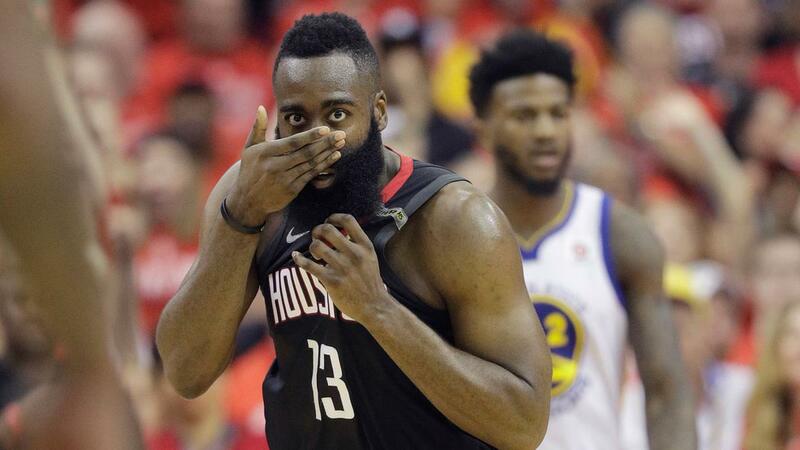 Against almost every team in NBA history, this Rockets team is up 3-2 with James Harden and homecourt advantage, they win that series, they go on to then win the championship. They just ran up against the most talented team arguably in NBA history. The video below features the entire segment on Harden’s MVP honors, ranging from the start of the clip to the 4:04 mark.